I typically make a big brunch every Sunday after church, & it’s our special day where I usually make pancakes or waffles with our eggs. The boys always get excited! I mix it up and try all different types of pancakes, like the 3 ingredient ones I made a few weeks ago. Sometimes I make them homemade, and sometimes I try different types of mixes I’ve found. One that we like is from Costco called Kodiak Cakes. SUPER easy, & Jase loved helping me make them. I think he liked eating them even more though. And of course we added a little bit of all of our favorite superfoods I just blogged about. I told ya, I sneak that stuff in wherever I can! I added around a tablespoon of each…maybe more of the ground flax & superfood blend. 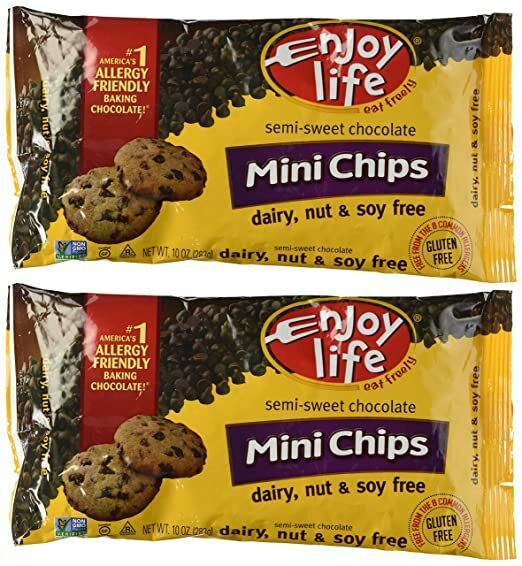 Oh, and we added a few of the Enjoy Life mini chocolate chips too. Not as much as the recipe called for, but enough to add a little something. Big hit with the Butler boys, & healthier than most any traditional muffin mix. Enjoy!